10 million-strong mobile service branches out with dedicated eSports app for Android, iOS coming soon. theScore is one of the biggest mobile-centric sports coverage sites, announcing recently that it passed the 10 million active user mark. And now it's putting the full weight of its reach behind a new app dedicated to eSports coverage. 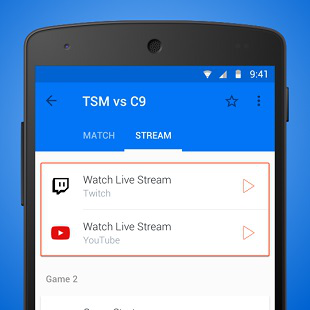 The app will cover all of the major eSports scenes, including League of Legends, Hearthstone, Dota 2, Counter-Strike: Global Offensive, the fighting game community, and Call of Duty. Expect Halo coverage to ramp up once Halo 5 hits as well. Through the new app, users will be able to track tournaments and specific matches, link in to YouTube and Twitch, and read news and features focused on a broad spectrum of franchises. The team writing for theScore eSports includes Rod "Slasher" Breslau, who last wrote for CBS-owned onGamers. Slasher and onGamers parted ways after a second dust-up over the site's coverage on Reddit, which saw onGamers articles banned from the site. "The launch of theScore eSports is a huge development for the world of eSports," said Breslau, a 13-year veteran journalist and broadcaster of competitive gaming and eSports. "Creating an awesome mobile experience like this is the natural next step in the enormous growth of competitive gaming." The app is available for Android on Google Play today, and an iOS app should be launched shortly.